Living a Fit and Full Life: Magformers Sweet House 64Pc Set is the Perfect Way to Encourage your Child's Creativity! Magformers Sweet House 64Pc Set is the Perfect Way to Encourage your Child's Creativity! Magformers Sweet House 64Pc Set is the perfect way to encourage your child's creativity! 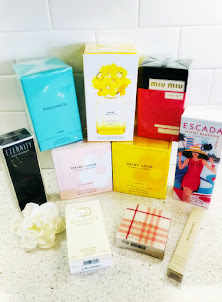 My kids and I are a huge fan of Magformers and have been for some time now. What I love most about Magformers is watching how creative kids are. I tell ya, sometimes they come up with some amazing ideas! 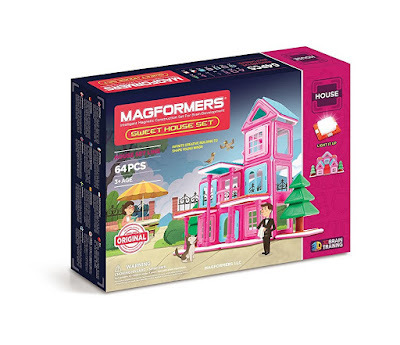 With Magformers Sweet House 64Pc Set kids can create their very own playhouses. Magformers Sweet House 64Pc Set entertains my kids for hours and they absolutely love playing with their house after they build it. As a mom I love that Magformers are BPA free and that the magnets are encased in plastic so they'll never come loose. As a mom of a one year old that's something I appreciate! Magformers Sweet House 64Pc Set is an absolute blast and would be perfect for any child who loves to build things!